Are you interested in living on campus for the 2019-2020 Academic Year? 4/5/19 update- The 2019-2020 Housing Application will is available via mail and print from the website here. Click here to submit your information to receive a Housing Application Packet. We currently have openings for the 2019 Spring semester! Prior to completing the Application Packet, please review the 2019-20 Community Guidelines and the Student Code of Conduct to make sure living on campus is right for you. Here is your chance to live in a diverse community of up to 150 students under two roofs. Our residents come from all over the country and beyond crossing international borders. Folks come from every background imaginable with educational goals just as diverse. The residence hall becomes a small community where you can relax and be yourself. The community includes staff who are here to help you navigate the college resources and help make your stay within the halls as positive as possible. In addition, residents have evening access to the gym, on site laundry facilities, free admission to CR events, and a 5-minute walk to all your classes. We encourage you to check out all the links within the residential life web page to give you a realistic preview of what living the halls is like. We hope the information helps you in deciding if living on-campus is most beneficial for you in achieving your academic and personal goals. Admittedly, this site does not cover absolutely all of what on-campus living is about, but we think it covers the basics. Should you require clarification or need more information on a certain topic, please do not hesitate to email us or call us at (707) 476-4294. Please view the Student Code of Conduct and the Residence Halls Community Guidelines. Please read both these documents carefully. It is our hope that the information provided in these two documents will help you determine whether the Residence Halls is the best fit for you. 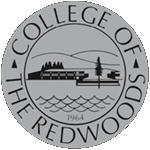 College of the Redwoods is a tobacco free institution. There are no designed smoking locations on campus.